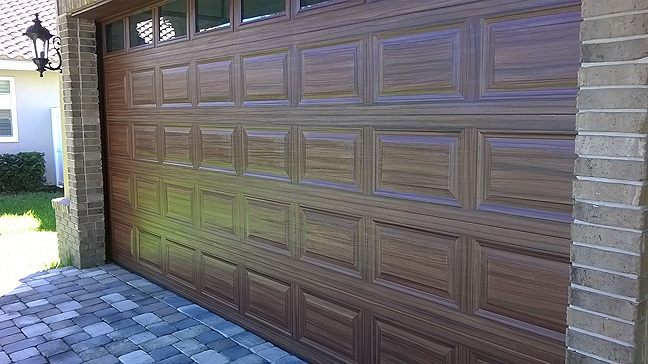 I recently completed a project which had me faux wood grain 2 garage doors, each one was a double. The pictures that follow are the first door I painted and the other door is across the large paver driveway. So the client has a large double garage on each side of the house. The first picture is the completed door. This next picture shows the door after I have worked on it for a while, at least one full day's work after the basecoat was already on. The basecoat is a Sherwin-Williams color, Saucy Gold. That is the golden color I applied to the door first. The brown color is also a Sherwin-Williams color called Java. I also mix a black with the Java about 1 to 1 for the final glazing coat. 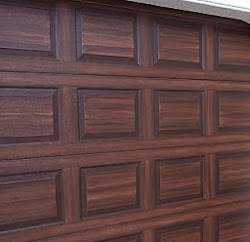 The most common type of garage door has a wood grain texture imprinted on it. That wood grain runs horizontally across the entire door. Now if the door was made out of real wood that would not be the case. If the door were made out of real wood the individual vertical pieces would have a vertical grain to them. So I paint my doors as if they were real wood and give the vertical pieces a vertical grain even though it has an imprinted horizontal grain to it. It looks fine and no one ever objects to this technique. The following shots show how beautiful the grain can look on these vertical areas. Notice how I have taped off these areas before I painted them. Then before I took the photos I removed the tape. Notice the way the grain pattern is different for each vertical area. You want to make each grain pattern a little different so sometimes the grain has a leftward bias and sometimes a right directional bias, sometimes the left side is darker sometimes the right sometimes the center, etc. The final two pictures show you parts of the completed door. Notice how each panel on the garage door has a little different wood grain pattern to it. Also in these last two pictures you will notice that around the center panels the wood is darker than the rest. That gives the individual panels a 'picture frame' look that is the final touch that really makes for a very beautiful looking door. Your work is quite impressive. You Da man, sweet job dude!! Love, send me your email and i will send you more detailed instructions. I would love to do the same color match to my garage door and double front doors. Can you email me the color names, steps and run through how you did this work of art? my email is dougtowle@gmail.com. Or call me at 954 483 6957. Would you mind sending the same info Doug requested? I can't wait to try this on my garage. 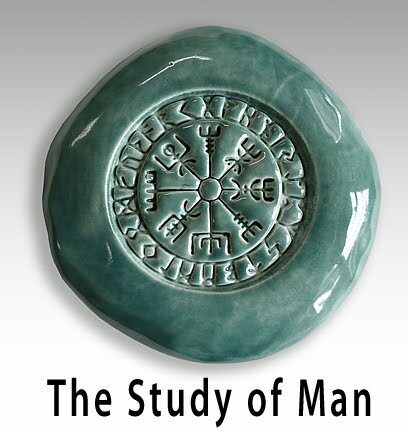 how do you apply the glaze? Brush or rags or both? Awesome job! How much spar to paint do you mix for both the grain coat and the top coat w/black? 2-1, 3-1?